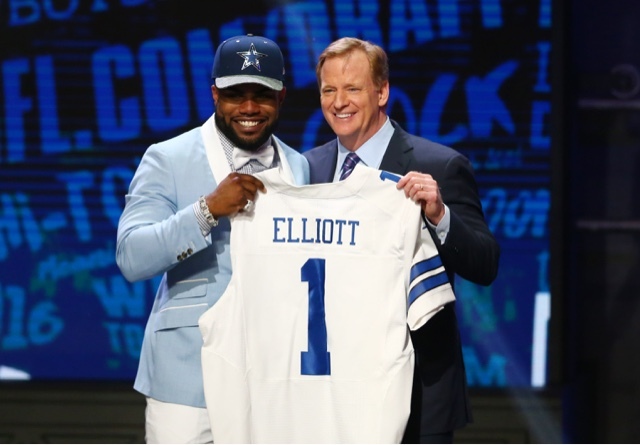 It's been just two days since Ezekiel Elliott was drafted in the first round by the Dallas Cowboys and the running back has already found himself dealing with his first groupie experience in the NFL! We're guessing after a long night out; Elliott took an Instagram "model" back to his hotel for a night cap, and she couldn't wait to catch him slipping. She uploaded the follow image to her snapchat to brag about her time with the young superstar. 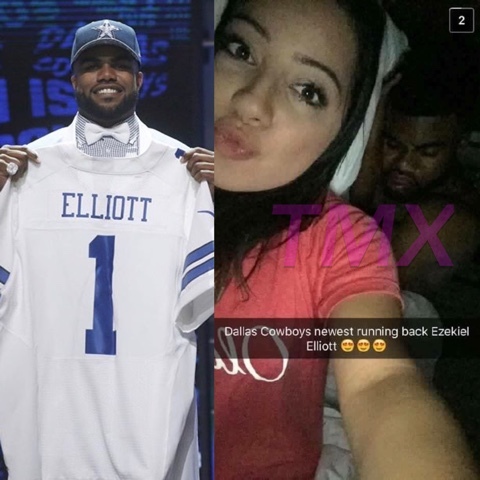 For the life of me I can not understand why NBA and NFL players are always getting caught up with groupies. Where are the publicist, family members or security guards? !